Aesthetics and accouterments aside, the T500 sounds like the past. There’s something about that twin 2-stroke growl that even the meanest of 4-strokes just can’t live up to. The sound and fury does signify something though. The T500 has a power band like nothing it’s 4-stroke cousins can reproduce. It absolutely comes alive in the upper midrange. I’ve been strictly forbidden to ride it, actually, as Jeff rightly assumes that it’ll only make me want one. I have enough projects at the moment. I’m not alone in my enthusiasm though, Robb took the T500 on a post-service proving ride and came back chuckling like a teenager who’d just gotten away with something. Robb’s not exactly a gigglebox, so, you’ve got to know the T500 is something special if Robb comes back raving about it. He’s been around the block on a lot of bikes. So how about a little history? 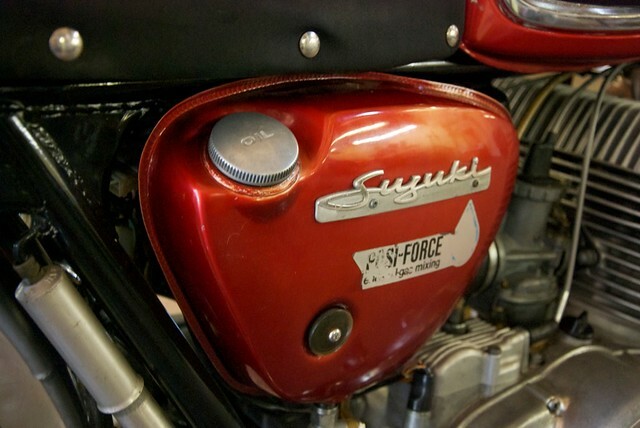 * The Suzuki T-series bikes were produced from 1963-1977 with engines ranging from 90cc to 500cc. It was the first production bike series to feature a 6-speed transmission. Grounded in Suzuki’s racing pedigree, the T-series was intended to be the peak of performance in a small package. 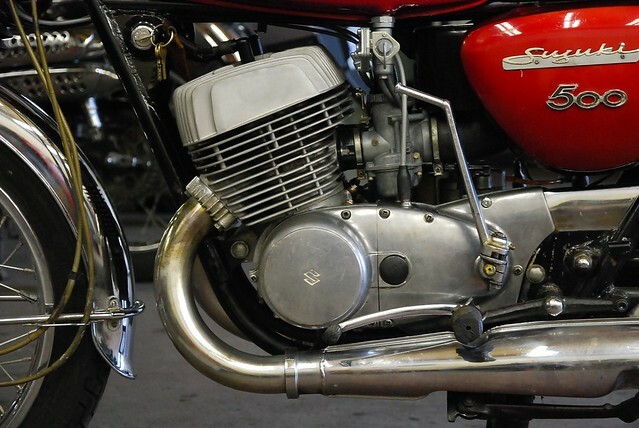 The T-series machines were professionally raced, often out-pacing bikes with twice the displacement. The T500, known as either the Cobra or the Titan depending on where you lived, enjoyed a ten year production run which saw advancements in oil delivery, a front disk brake and more than 100,000 units made by 1977. The general merits of the machine not withstanding, we love this particular T500, well, in particular. 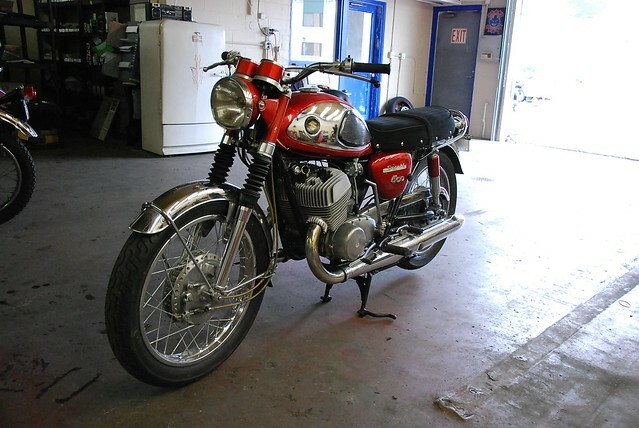 The owner and his daughter are regular customers, and we’re told by the latter that this bike is currently receiving polish and petrol in nearly equal amounts. 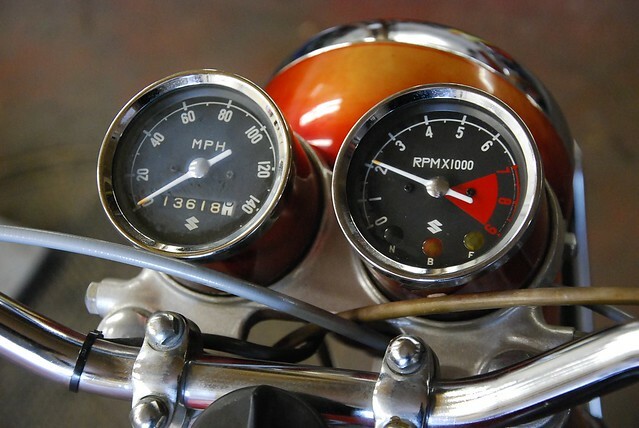 While we would like to see a few more miles on the odometer (all bikes are healthier if they’re ridden regularly, especially older ones), we love that this bike is loved. It’s a special machine and we take great satisfaction keeping it on the road, and vicarious pride in knowing that this old Suzuki is enjoyed. 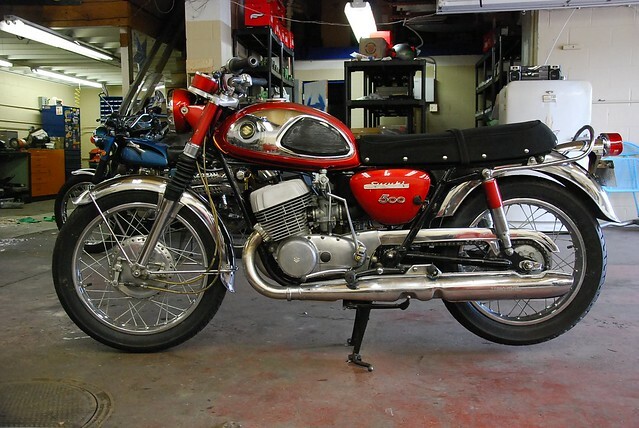 So if you’re looking for a vintage motorcycle to aspire to, you could certainly do worse than the Suzuki T500. If you find one, we’d love to see it and help you keep it snarling for a long, long time. It’s a special old horse — a great vintage Japanese machine.